The global visibility of this solar eclipse is shown in the diagram to the left. 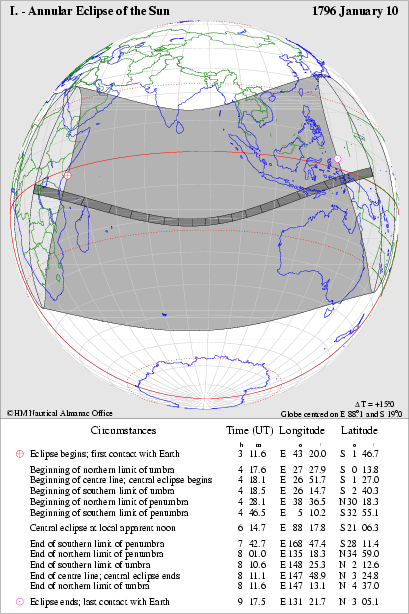 A higher quality version of this global plot can be downloaded in pdf format by clicking on this image. An explanation of this diagram can be found here. The animation shown in the diagram to the right illustrates the motion of the shadow of the Moon at five minute intervals. This animation runs in a continuous loop. This graphic, provided by Dr. Andrew Sinclair, shows the grey penumbral shadow where the eclipse will be seen as a partial one and the much smaller red umbral shadow where the eclipse will be seen as an annular one. The UT time is shown in the upper right-hand corner of the diagram and the central line duration of the eclipse can be seen in the lower right-hand corner. 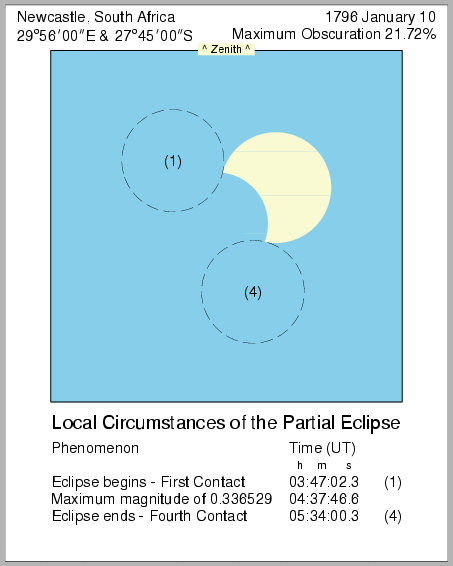 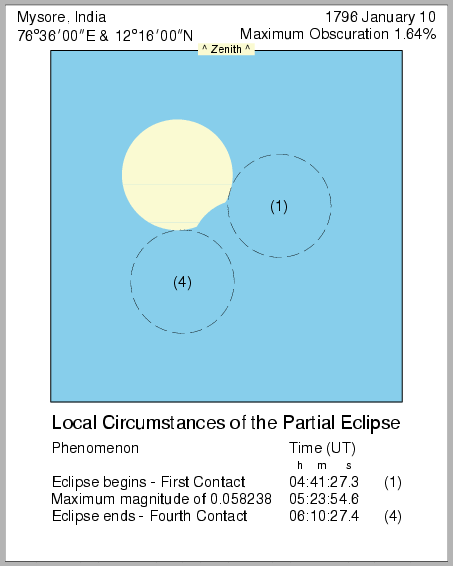 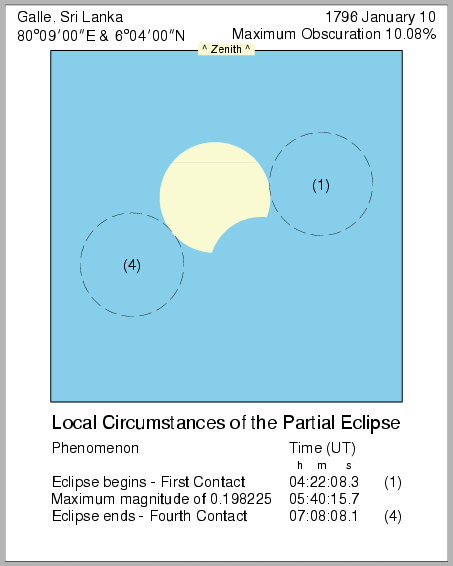 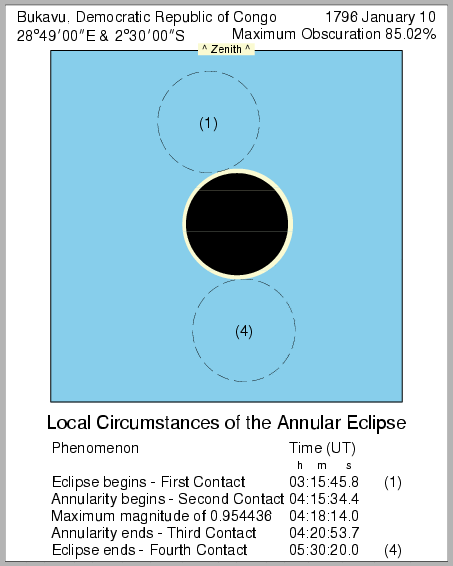 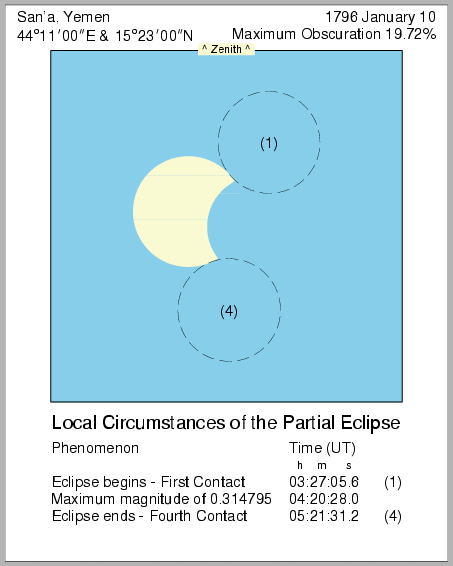 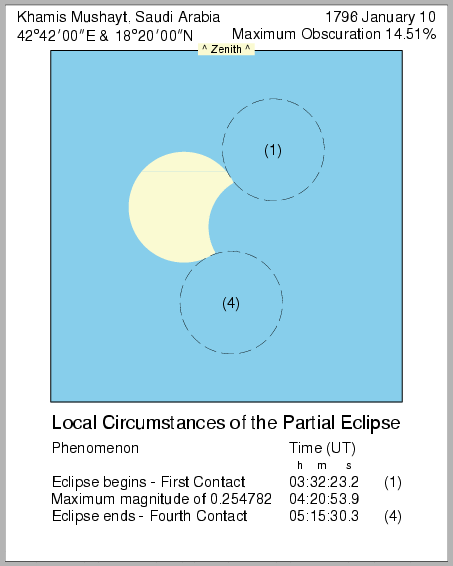 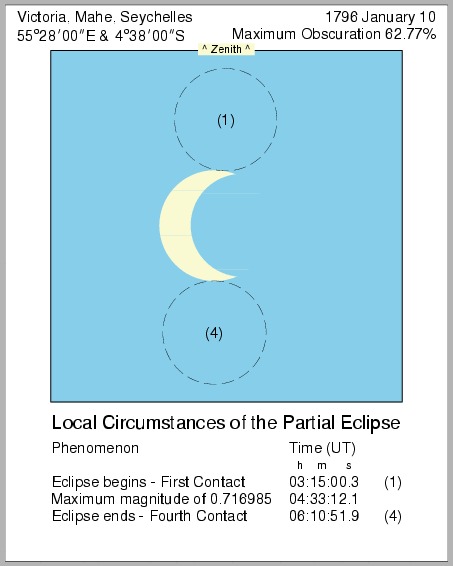 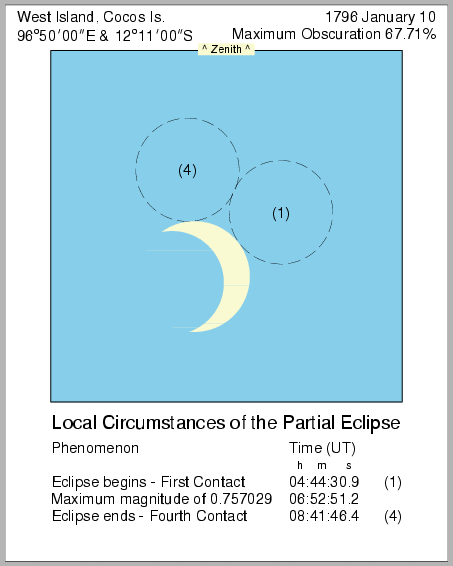 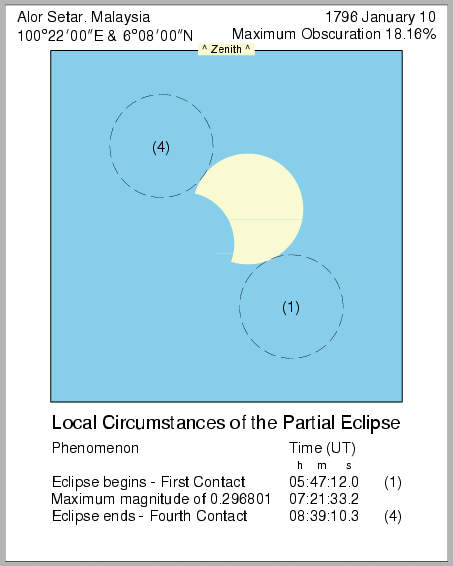 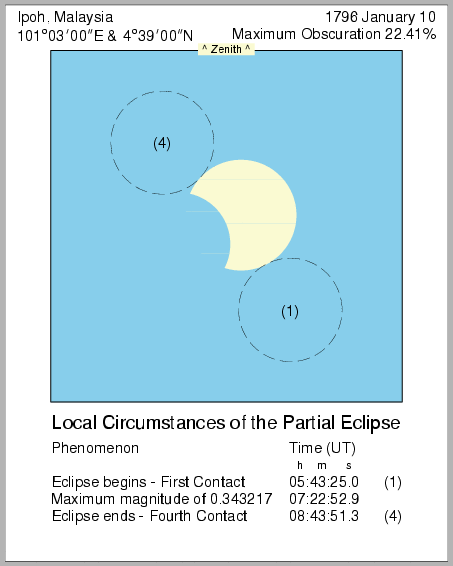 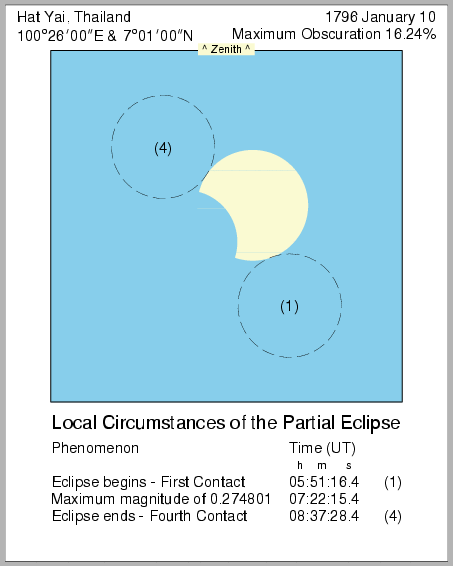 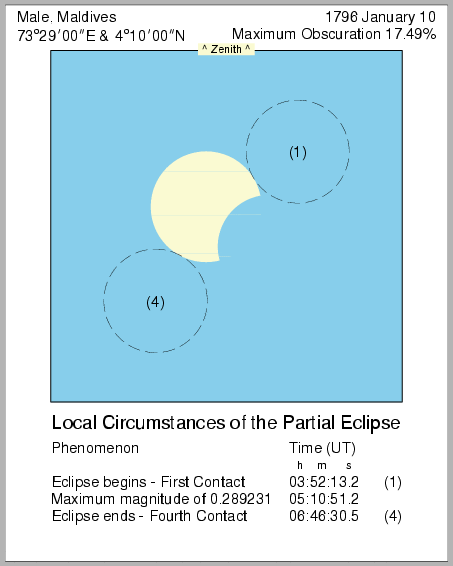 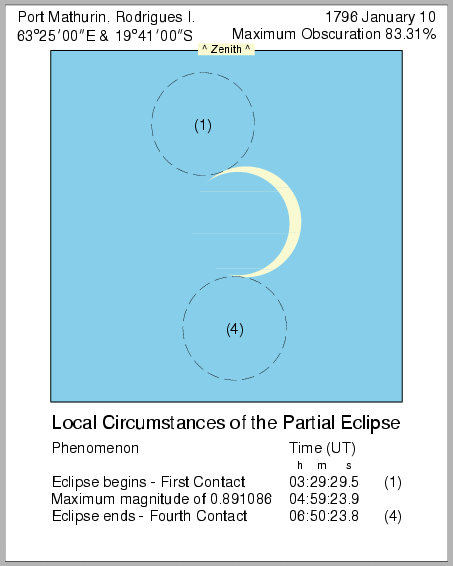 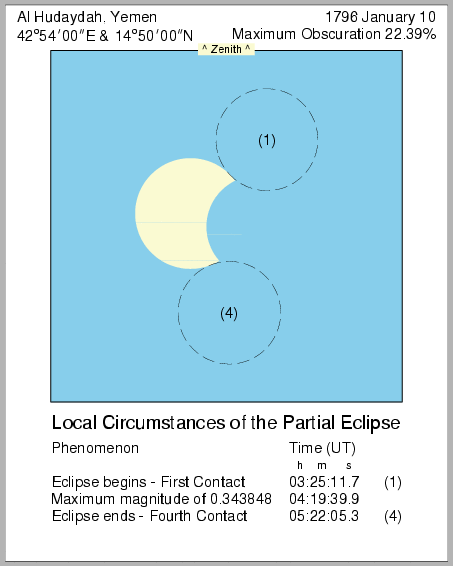 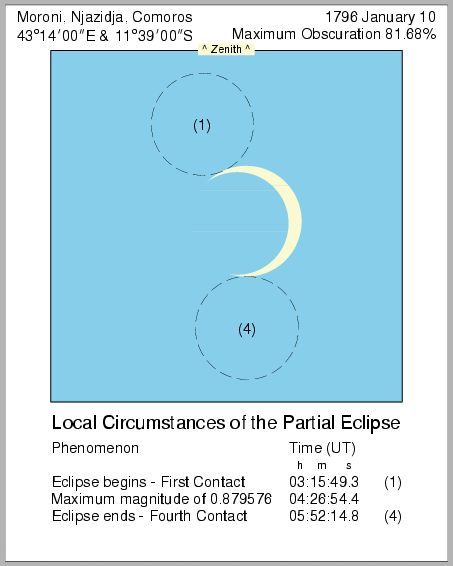 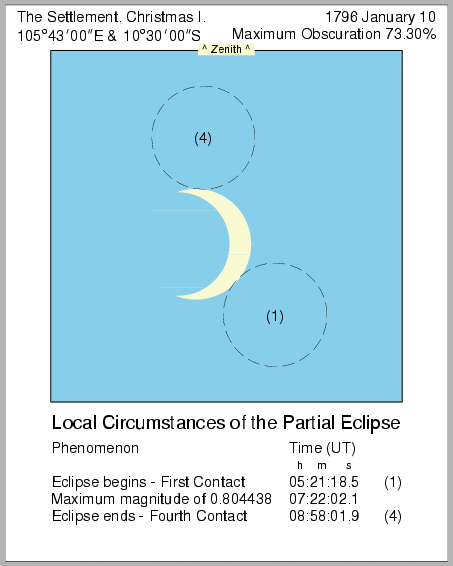 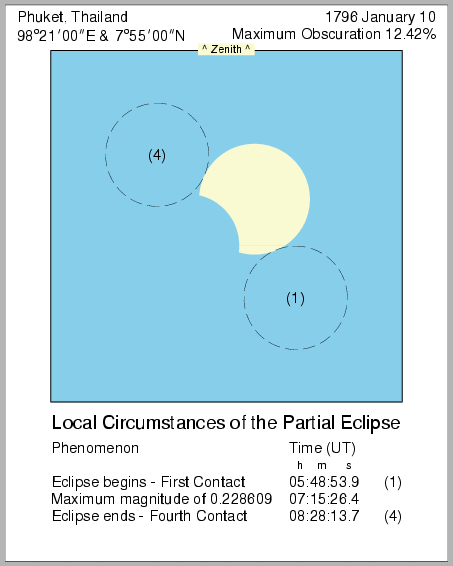 Diagrams showing the configuration of the eclipse including the local circumstances are available for the 281 locations given in the following table. All timing information is given in Universal time (UT). Animations showing the progress of the eclipse are also available for the locations specified. These animations can be as large as 275kb in size. It may be necessary to download these files for optimum performance. Eclipses for the locations listed in the following table in the period 1501 CE to 2100 CE can be found by following the location link. A location which lies within the path of annularity is highlighted.